Three major sector bodies have urged the government to ensure that any attempts to simplify inheritance tax do not negatively affect legacy giving. In a joint response to a government consultation on inheritance tax, which closed on Friday, the charity legacy consortium Remember A Charity, with support from the National Council for Voluntary Organisations and the Institute of Fundraising, says legacy giving to charity totals more than £3bn a year. It warns the government to avoid making changes that might include any "potential negative consequences" for legacy giving and urges mandarins to take into account the ongoing work of the NCVO’s Charity Tax Commission, which is conducting a review of the tax environment for charities and is due to publish a report next year. The submission also calls on the government to take forward any simplification to the inheritance tax regime that could help to achieve the shared civil society and government objective of increasing gifts in wills – for example, by considering introducing a tax incentive for everyone who leaves a charitable gift. Legacy gifts to charity are currently exempt from inheritance tax and estates that include a minimum 10 per cent donation to charity also benefit from a 10 per cent reduction on the standard 40 per cent inheritance tax rate. Rob Cope, director of Remember A Charity, said: "Tax relief should not be considered purely as a saving for the consumer or a cost to government, but as an opportunity to make a real difference to society for generations to come. "The current inheritance tax framework encourages legacy giving and normalises conversation around what can still be seen by some as a taboo topic. 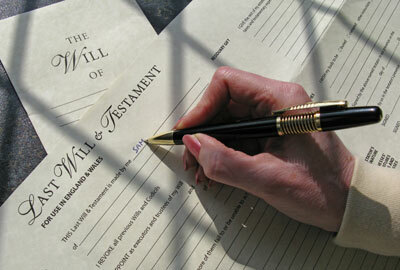 "While IHT might need review, it is essential that any changes will continue to support and encourage gifts in wills."